 This web site is provided by Night Watch Security Services. Your use of this website is subject to the following terms and conditions, which you are deemed to have accepted each time you access the website. We will try to ensure that the quality of service and standard of this website remain high and to maintain its continuity. However, by its nature the Internet is an inherently unstable medium and, consequently, errors, omissions, service interruptions and delays may occur at any time. We accept no liability arising from such errors, omissions, service interruptions or delays. Furthermore, we accept no ongoing obligation or responsibility to operate this website (or any part of it) or to provide any of the services offered on it. The specification and content of this site may be varied from time to time at our discretion without notice. We make every reasonable effort to ensure that the information on this site is accurate, complete and up-to-date. However, some of the information is supplied to us by third parties and, we are not therefore able to check either the accuracy or completeness of such information. We do not accept any liability arising from any inaccuracy or omission in any of the information on this site or any liability in respect of the information on this site supplied by you, any other site user or any other person. (iv) Attempt to decipher, disassemble or modify any of the software, coding or information comprised in the site. The information submitted by you to this site is your sole responsibility. You are responsible for ensuring that the information supplied by you is true, accurate, up-to-date and not misleading or likely to mislead or deceive and that it is not discriminatory, obscene, offensive, defamatory or otherwise illegal, unlawful or in breach of any applicable legislation, regulations, guidelines or codes of practice or the copyright, trade mark or other intellectual property rights of any person in any jurisdiction. You are also responsible for ensuring that all information, data and files are free of viruses or other routines or engines that may damage or interfere with any system or data prior to it being submitted to this site. We reserve the right to remove any information supplied by you from the website at our sole discretion, at any time and for any reason without being required to provide any explanation. On this site we provide automatic links to other websites that we think may be of interest to you from time to time. We do not accept any responsibility for or liability in respect of the content of these sites, the owners of which do not necessarily have any connection, commercial or otherwise, with us. Consequently, you use these links entirely at your own risk. We will use information supplied by you (including, without limitation, sensitive personal data) in any way we consider suitable to aid the recruitment process and its associated administrative functions. This may involve us, amongst other things, processing and storing information (including, without limitation, sensitive personal data) and passing or making available online such information to prospective employers and clients. Information about vacancies and placements will be passed to candidates and may be posted directly onto the website. We may also use third parties to help us process your information as part of the recruitment process. We may also collect and aggregate data from the information supplied by you to help us to provide a better service. On occasions, we may also share information, on an aggregated basis, with third parties, without disclosing any personal information. You consent to us using information provided by you (including, without limitation, sensitive personal data) in each of these ways. The rights in material on this site are protected by international copyright, software and trade mark laws and you agree to use this site in a way which does not infringe these rights. You may copy material on this site for your own private or domestic purposes, but no copying for any commercial or business use is permitted. You will need to use a user name and password when you register with this site and when you subsequently sign in to visit the site. (This feature will be updated soon) You are responsible for maintaining the confidentiality of your registration information and password. You shall be responsible for all uses of your registration, whether or not authorised by you. You agree to immediately notify us of any unauthorised use of your registration or password. We accept no liability for any unauthorised or improper use or disclosure of any password. We may terminate your registration and/or deny you access to this site or any part of it (including any services, goods or information available on or through the site) at any time in our absolute discretion and without any explanation or notification. We accept no liability for any loss (whether direct or indirect, for loss of business, revenue or profits, wasted expenditure, corruption or destruction of data or for any other indirect or consequential loss whatsoever) arising from your use of this site and we hereby exclude any such liability, whether in contract, tort (including for negligence) or otherwise. We hereby exclude all representations, warranties and conditions relating to this website and your use of it to the maximum extent permitted by law. You agree to defend, indemnify and hold harmless us and each of our officers, directors, employees and agents, including all third parties mentioned at the site, from and against any and all claims, expenses, costs, losses, liabilities or proceedings, alleging or resulting from your use or misuse of the site or your breach of these terms and conditions. The use of this website and agreements entered into through this website are to be governed by and construed in accordance with English law. The courts of England are to have exclusive jurisdiction to settle any dispute arising out of or in connection with the use of this website or any agreement made through this website. Some of the services offered through this website may not be lawful or may otherwise not be permitted in certain countries outside the United Kingdom. If you attempt to order, receive, purchase or otherwise benefit from any services, we do not accept any liability for any losses suffered by you using this website which you would not have suffered had you been accessing this website as a United Kingdom resident (including as a result of us being prevented from dealing with any application or enquiry by law, regulation or other ruling applicable in any country). We may change these website terms and conditions at any time. You will be deemed to have accepted any amended terms and conditions when you next use this site following any amendment. If any provision of the terms and conditions is held to be invalid by a court of competent jurisdiction, such invalidity shall not affect the validity of the remaining provisions, which shall remain in full force and effect.